Hi all, the weather pattern over the past few weeks has been a little ordinary with the weekends throwing poor conditions for offshore waters but the good news is it looks to change this weekend. The current forecast is fantastic with light winds and virtually no swell Hooray!!! Maybe the usual calm winter weather is finally here. The past week we have managed to get out on Wednesday, Friday and yesterday (Tuesday) with reasonable results. Last Wednesday we did a ¾ day charter and it started off well we caught snapper, tuskfish, pearl perch, moses perch, hussar, trevally and morwong. After 2hrs things went a little quiet so we headed a little deeper to fish a couple of wrecks where we get cobia but they weren’t chewing all we could bring up were big grinners- bait wasters. So we headed back in to the reef to salvage some time and added a few sweetlip and mackerel to the esky. 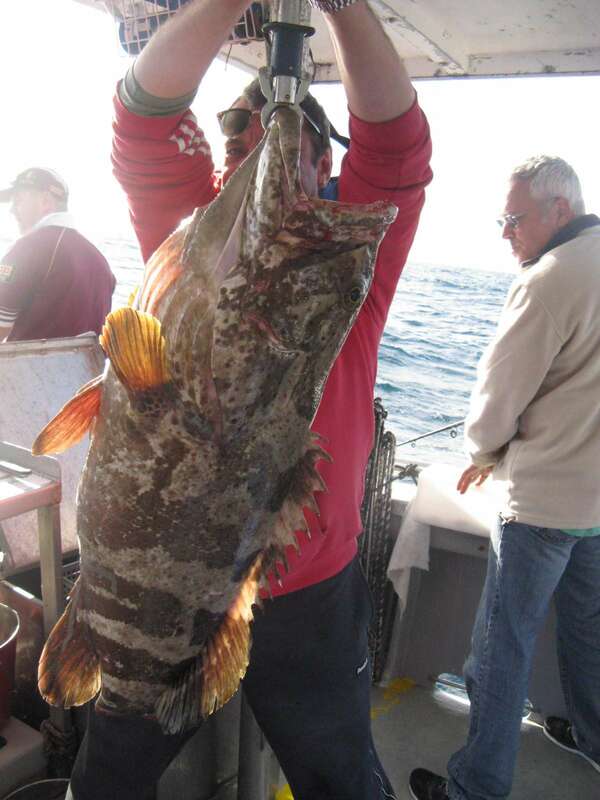 Friday was a full day charter and we headed out wide to fish the barwon banks. We worked the shallow areas chasing those colourful varieties. Some nice eating size snapper were boated along with big spangled emperor. Other species included tuskfish, red throat emperor, gold spot wrasse, fusilier, pearl perch, trevally and maori cod. Tuesdays’ trip was again a ¾ day trip and we headed south this time starting on Currimundi reef targeting school mackerel. We got a burley trail started and nailed a few before the sharks caught on to us and join in on the action. 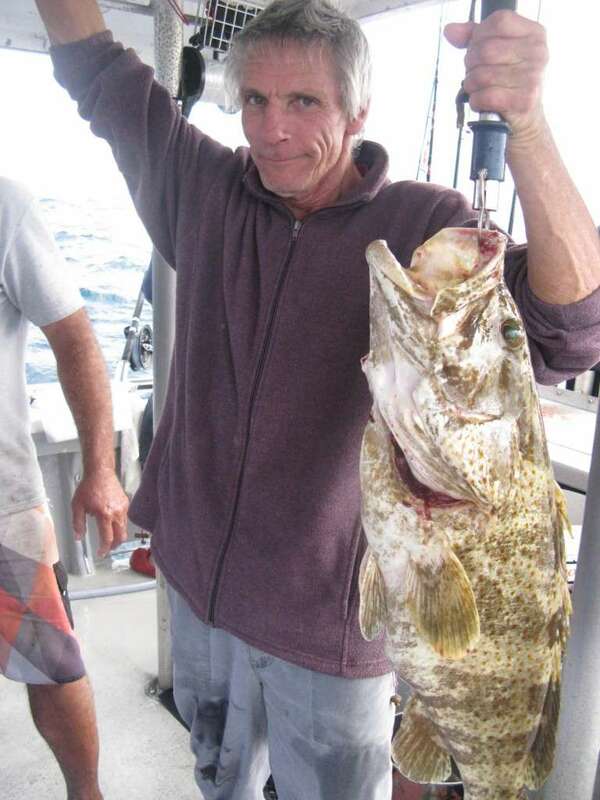 We then headed to the Caloundra 12nm and caught sweetlip, moses perch, tuskfish and some big cod which are pictured below. Well done to regulars Steve and Angelo both getting some big fish but Angelo got the bragging rights this time with his measuring 1.05m and weighing in at 14.5 kg. Due to a cancellation we do still have spots left this weekend so if you would like to join us for a trip head over to our contacts and give us a call or flick us an email and we will make something happen. Until next time HAPPY HUNTING!! !